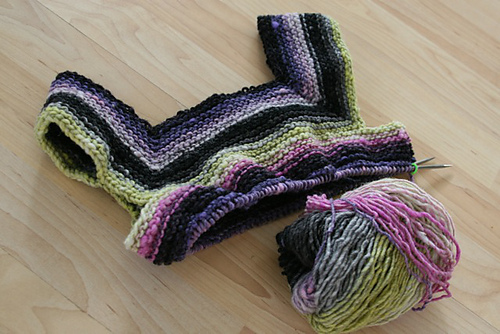 Way back in November, I started a little sweater project for Lotus – Milo, by Georgie Hallam. With Lo's help, I picked out some Noro Kureyon in this fun pink/black/chartreuse colorway from our favorite local shop, Knitted Together. And then, the poor sweater sat in my bag looking like this for a couple of months. It was one of those projects that I could have probably finished in a week or two if I had kept at it, but ... you know. It sort of hibernated. So this weekend, I was bound and determined to get this off the needles. This was after I realized it was going to turn out much, much larger than I had planned and had to pick up another skein of yarn before I could finish. But it's done! Even though it's more of a tunic/dress than a sweater vest. I figured it would look cute with leggings/skinny jeans this winter. I'm totally cool with the larger size, because she can easily wear it a good two or three years before she even gets close to outgrowing it. I was sooo relieved to find out that Lo likes it. 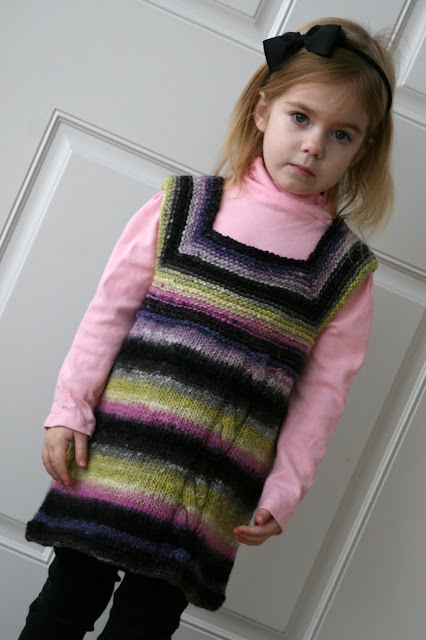 I've made things in the past that she wouldn't even try on, but she's pretty excited to wear this stripey dress to preschool. Good gracious that (and beautiful Lo) is so supercute! She looks marvelous in her new 'dress/knit/clothes' !!! Well done jen! That sweater, and Lo, are beautiful! awww, that little Lo is the cutest!!! The colorway is gorgeous and Lotus looks adorable! I just came over from Freckled Nest...I have to tell you that your cowls are so reasonably priced in your shop. I your inspiration in an earlier post and have to say that I love what you ended up with even more than the pic of the Gap model. Really nice. i love all of those colors. 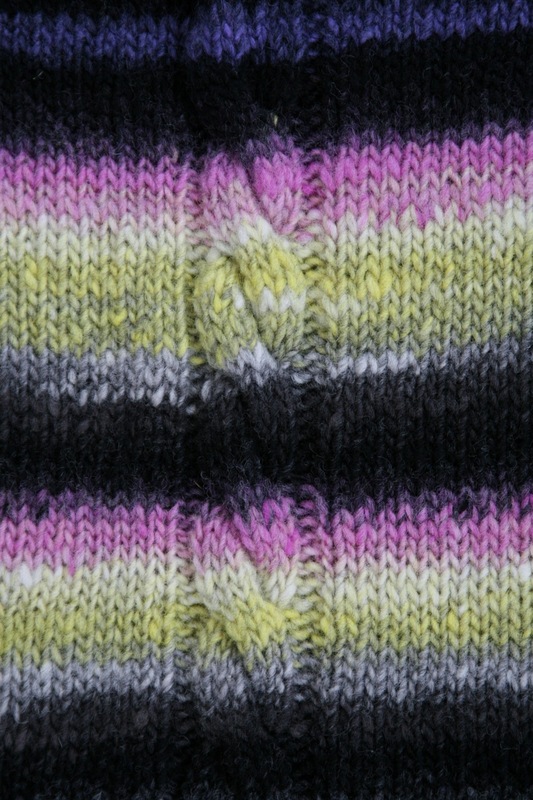 I am dying to learn how to cable knit... one day i totally will. your so talented, keep up the awesome work! This is amazing - what a great job! I can only knot straight haha. Found your blog via Freckled Nest ! I would totally buy that color combo in a dog sweater!! Ever think about diving into the realm of dog clothes? Found you through FN... great shop! I wish I could knit like that! She looks adorable. That is so cute! I need to learn to knit before I have kids so I can make them something this awesome. Hello from Freckled Nest--I LOVE your knits on ravelry, and that tunic is SO cute. 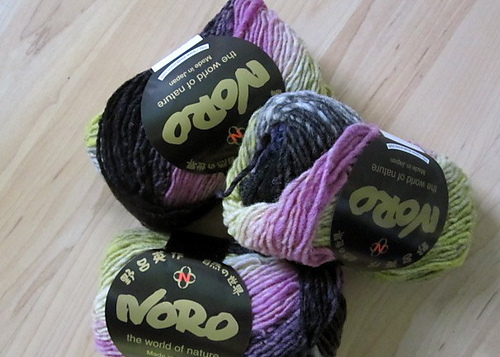 I have never knit with noro before but I've heard it's awesome! oh, that is just darling! so sweet! That is adorable!!! The colors are awesome! so cute! you are very talented, lady! visiting from FN and whaa? that sweater! unbelievable! I wish I could work the needles like that. Glorious! very very cute dress! I love the colours you used. 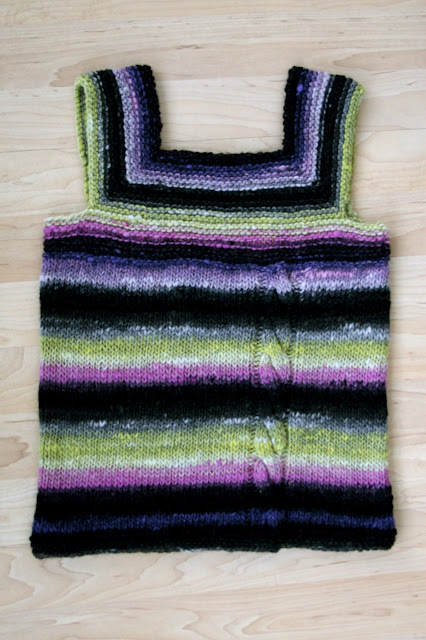 It's projects like this make me wish I could understand knitting. That is just darling. Ah, Noro! 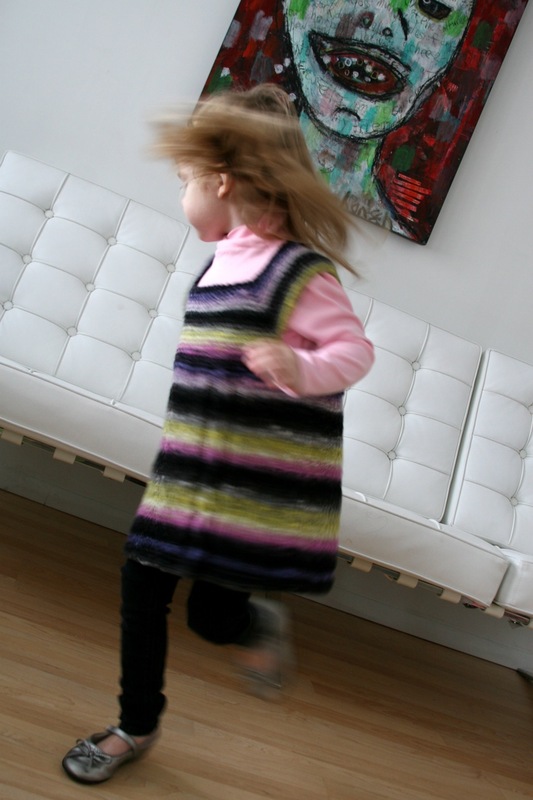 This is so lovely :) Just popping over from FN to say hi and admire your beautiful knits! Great work! It's rare to receive nice knitted clothes as a kid! This is great! Visiting from FN! So cute!